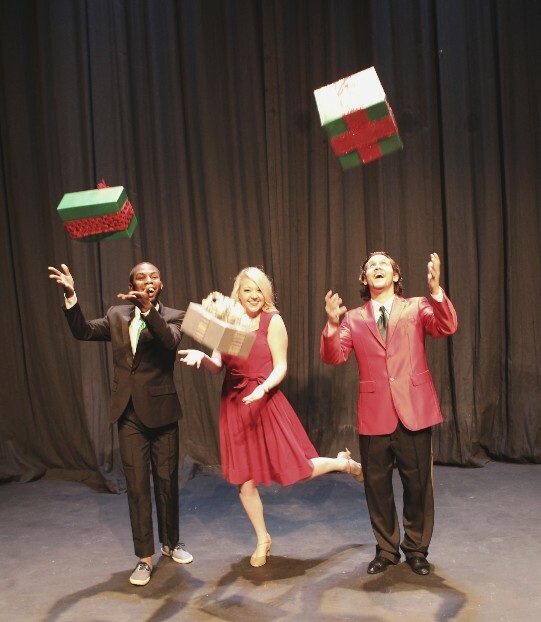 This is a high energy song and dance show featuring all your Christmas favorites. Show is 1.5 hours with an intermission. Performers must be at the fitness level to be able to dance and sing concurrently. Soloists will be assigned featured songs in October and will be expected to start rehearsals with all parts memorized. Production will include live band. Performers must be at the fitness level to be able to dance and sing concurrently. Ages 16+ invited to audition; Children’s cast auditions will be at a later date. Two weeks of rehearsals + two weeks of shows, details below. Pay is $1,000. Auditions are September 24th at 3pm and 27th at 6pm. Only one audition day is required. To be considered for casting, you are required to complete BOTH the group dance and individual vocal audition. The group dance audition begins promptly at the audition start-time listed. Auditionees should come prepared with headshot and resume. For vocal audition, please come prepared with two Christmas/Holiday songs that best show off your voice – with an accompaniment track. (Tracks are available on YouTube and/or iTunes that you can use during your audition via CD, phone, iPod, or mp3.) Accompaniment track is required. For group dance audition, auditionees should wear clothing that is easy to move in, character/dance shoes recommended. A combination will be taught for all auditionees and those that wish to show tricks/jumps/turns will be given a chance to do so. This production will be choreographed by more than one choreographer, so ability to learn different styles quickly is as important as technical ability is. Taped auditions will be considered for those who wish to audition, but will not be in town during these dates. Please contact Catherine Moulton for details. This being said, live auditions give the directors the best idea of your talents so please only use taped auditions as a last resort. Call backs will be scheduled as needed. If you are interested in auditioning, please email Catherine Moulton at catherine@earlsmithstrand.org with the date you wish to attend. She will respond with a confirmation of your audition date and a copy of the audition information.